"Your Robo-Bread is ready, master." 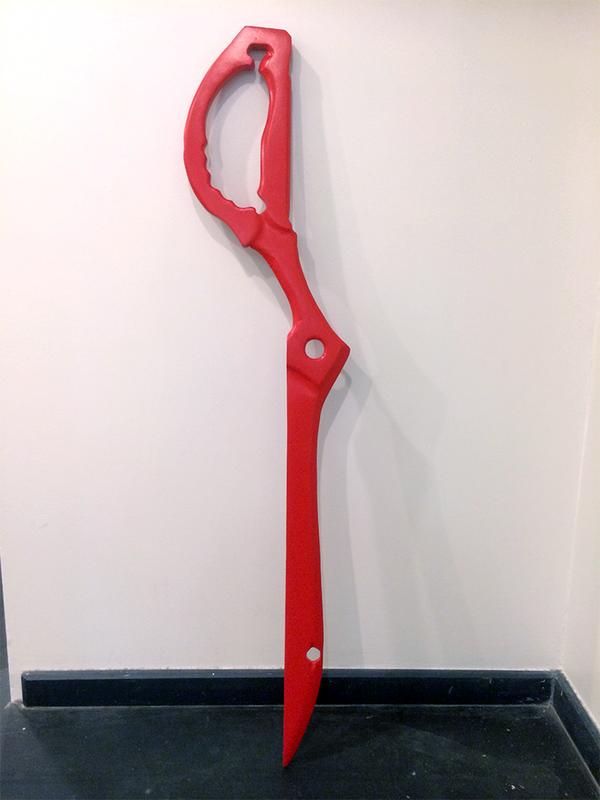 I'm finishing up my current KLK scissor blade for personal cosplay at Fanime this year - however, I can make more! Thing is, I just need to know ASAP. I'm just putting out a quick post in case someone was in desperate need or knew that they wanted one right this instant. Depending upon how many people (if any) are interested, I can determine prices and whatnot. At least 2 would be a good number! That way I can do some proper resin-casting instead of just using plain old MDF. If you were to order a commission, I'd have you pay a sum upfront (for materials) and then the rest at Fanime for a pickup! If you've got questions about quality, I'm always here to answer. I'm actually a little curious about cost. It would be a great gift for a friend of mine who really likes KLK. Any other technical specifications would be great....length, weight, etc. However I would need to ship it, so I can deal with that, but I would like to see what the information is first that I'm wondering about. It looks great so far from what I've seen. I don't suppose you can make other props? I'm looking for one specifically. Dimensions: 48" x 12" x 1/2"
Weight: (depends upon material chosen.) If MDF, haven't calculated IRL yet cuz paint's still drying. Calculated assuming 700 kg/m^3 density, approximately 69.4 cubic inches comes out to be 1.7 lbs. Cost will also depend upon the material chosen (and also how many I have to make). To give you a solid estimate, ~150$. (Assuming pickup) 75$ upfront and 75$ upon receipt. For comparison, other vendors offering the same item go higher. I can make other props, but I'm on a limited time-frame. If you have something in mind you can PM me and I'll tell you how feasible it is. It may cost more simply because of my time-constraints. 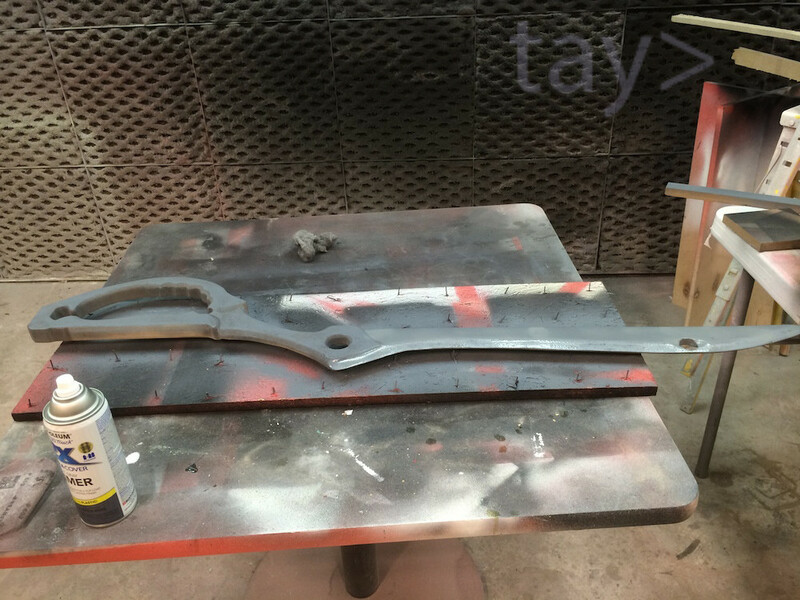 Bumping to post image of completed prop. I've updated my Storenvy to reflect the listings, as well!